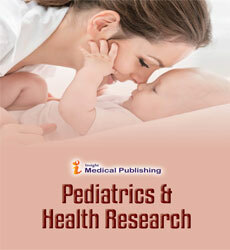 Pediatrics & Health Research is an international open access peer reviewed that publication encourages the latest research advancements in the field of pediatric and health research. 	Child Health 	Neonatology 	Pediatric Diseases 	Pediatric Cardiology 	Pediatric Surgery 	Pediatric Medicine 	Pediatric Obesity 	Pediatric Neurology 	Pediatric Critical Care 	Pediatric Dentistry 	Pediatric Nutrition 	Pediatric Allergy 	Pediatric Nephrology 	Pediatric Trauma 	Pediatric Gastroenterology 	Pediatric Dermatology 	Pediatric Pulmonology 	Pediatric Ophthalmology 	Pediatric Cancer 	Pediatric Immunology 	Pediatric Radiology 	Pediatric Psychology and Pediatric Osteology. The journal encourages advancements in the above mentioned fields in the form of Original articles, reviews, short communications, rapid communications, letters to the editor, abstracts, addendums, announcements, article-commentaries, book reviews, annual meeting abstracts, calendars, case-reports, discussions, meeting-reports, news, orations, product reviews, hypotheses, and analyses. The editorial manager system facilitates a user friendly article submission, review and publication. Manuscripts that are thoroughly peer reviewed would ensure the best standards in the industry. The goal of this journal is to provide a platform for scientists and academicians all over the world to promote, share, and discuss various new issues and developments in different areas of Pediatrics & Health Research. The articles will be managed electronically, examined by a scientific committee and anonymous evaluators and published every month in HTML and PDF formats.